Scraping my way to satisfaction! A few blog posts ago, I told you how I HATE painting. Well, it turns out, I LOVE using paint stripper. This can of heavy duty acid that burned off little flecks of my skin is (surprisingly) bringing me a lot of satisfaction! 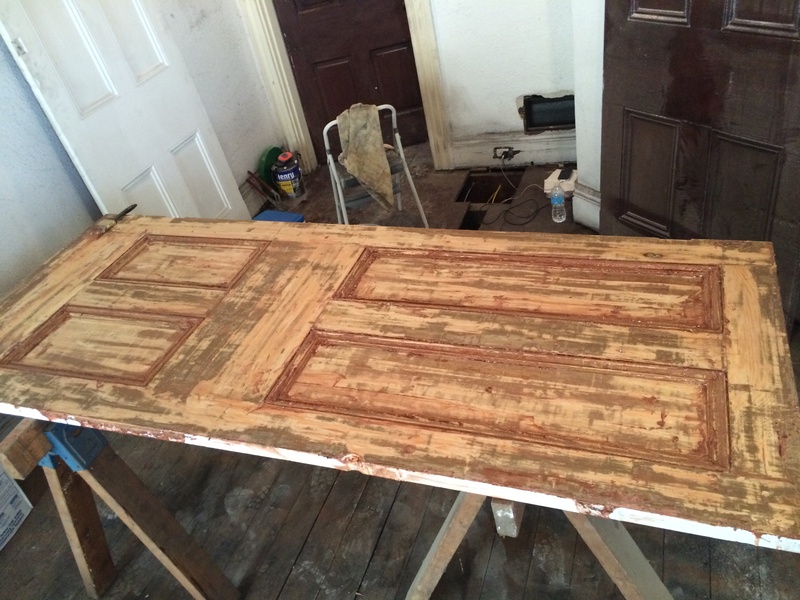 Since we blew out 5 walls in our rowhouse, we have several old doors just sitting around. These doors are classically beautiful and made out of gorgeous wood. You can’t find doors like these anymore! 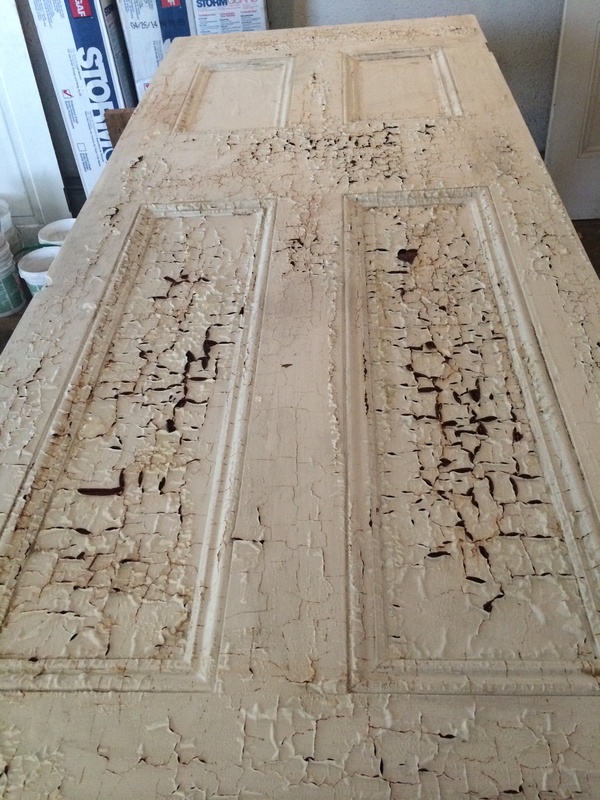 There are several coats of paint on each door, so we are stripping them with a heavy duty paint stripper. I poured it on generously and then, in a matter of minutes, PRESTO! The paint immediately started cracking. I let it sit for 15 minutes then went at it with a metal scraper. 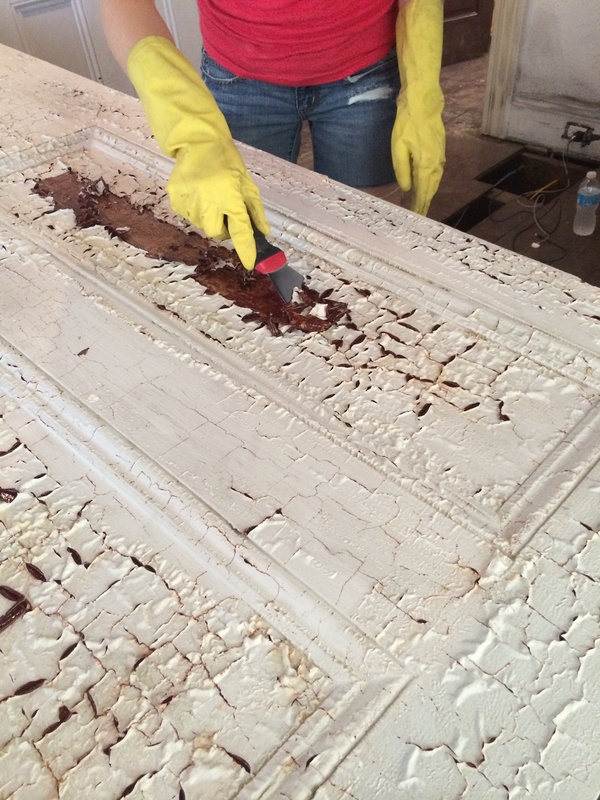 Scraping the old paint off and getting down to the original wood was kind of amazing to watch. 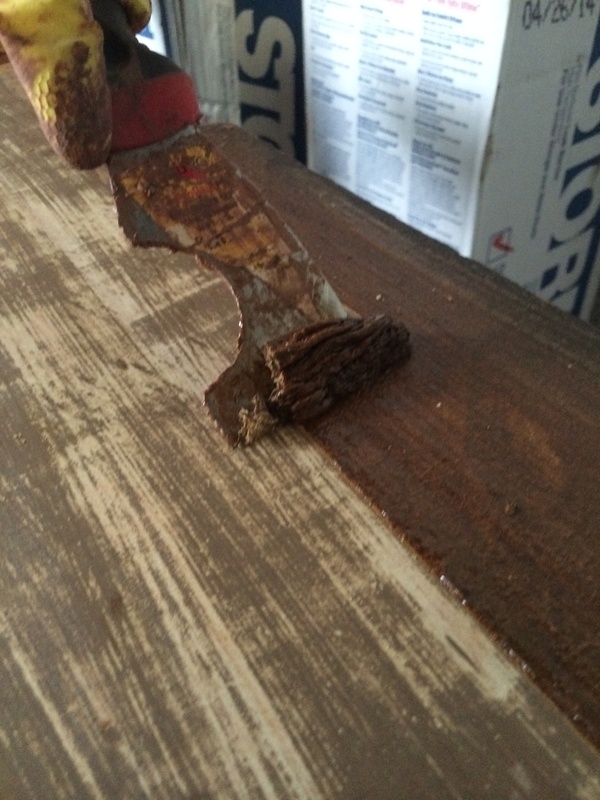 After a few rounds of scraping, I got as close to the original wood as possible. 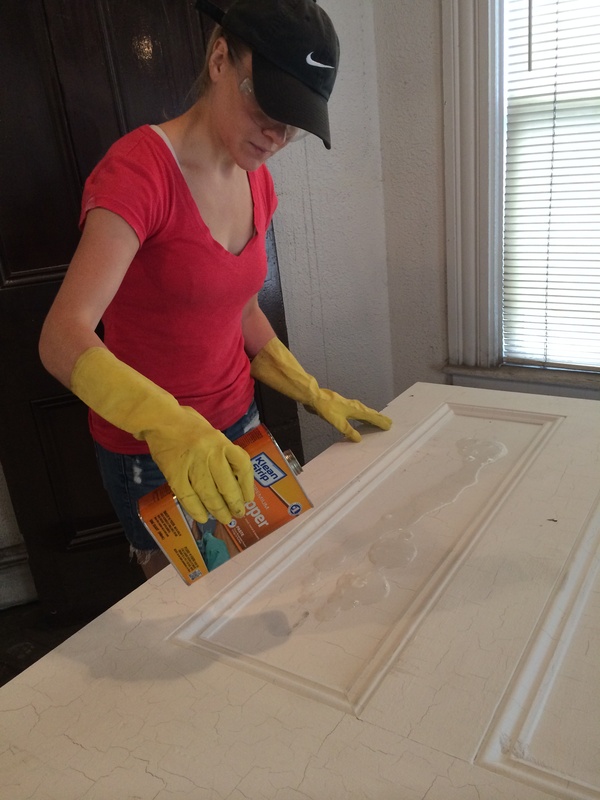 It might not seem like much to you, but we’re going to sand the door and then stain it. I’m hoping the finished product will be spectacular! Since you already stated the doors were the result of removing walls. 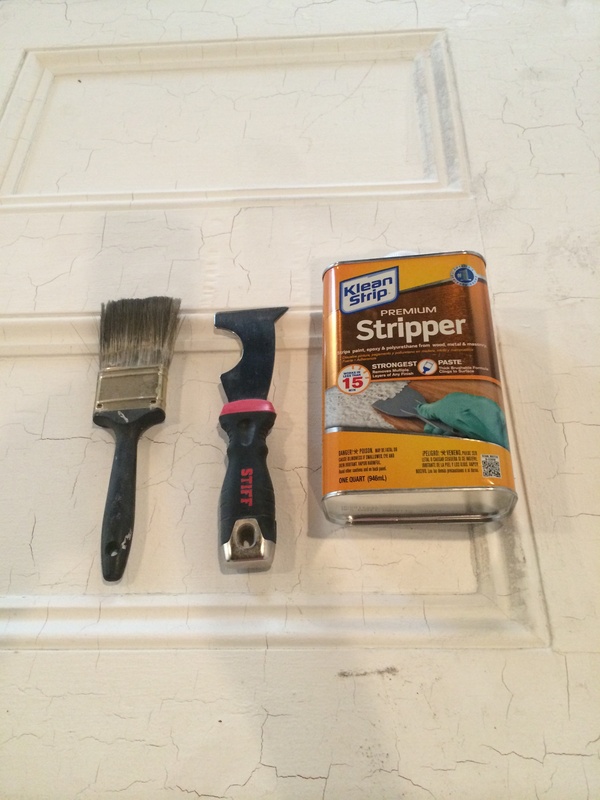 What are your plans for the newly stripped doors? We’re going to sand and stain them and reuse them in house. We also might use one as a table or art piece! Sounds like a plan. Thanks for your reply. I’ve been following your blog from the start.